The Bakkers built a Christian-themed television act modeled after Johnny Carson. Tammy Faye Bakker lived her life in front of television cameras. Starting from a modest children’s show featuring handmade puppets and barely disguised voices, she and her husband, Jim Bakker, eventually created a Christian-themed television broadcast modeled after secular late-night king Johnny Carson. “She made Christianity look fun,” said actress Kristin Chenoweth, who is developing a Broadway show about Tammy Faye. 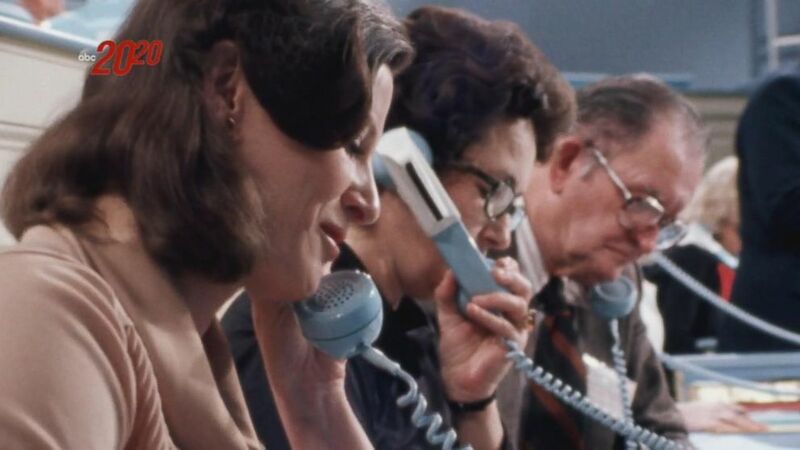 With Tammy singing and Jim hosting, the Bakkers built a religious television empire around their daily talk show PTL Club (“Praise the Lord") and a Christian theme park called Heritage USA -- until it all collapsed amid two scandals. Admirers say she was a resilient woman who also battled prescription drug addiction and multiple bouts of cancer. Her husband cheated on her and went to federal prison. Her second husband was sent to prison, too. Her fans says she never lost her faith in God; Bakker even appeared on national television to say so hours before losing her battle with cancer. By the mid-80s, the Bakkers were pulling in millions from their ministry. They had multiple houses, expensive cars, high-priced jewelry -- even an air-conditioned dog house -- but their success and exorbitant spending brought the couple scrutiny and criticism. (Bettmann Archive/Getty Images) Fallen evangelist Jim Bakker (C) is escorted by federal marshals as he arrived at the Federal Courthouse in Charlotte, N.C., Sept. 06, 1989, after undergoing a psychiatric evaluation. 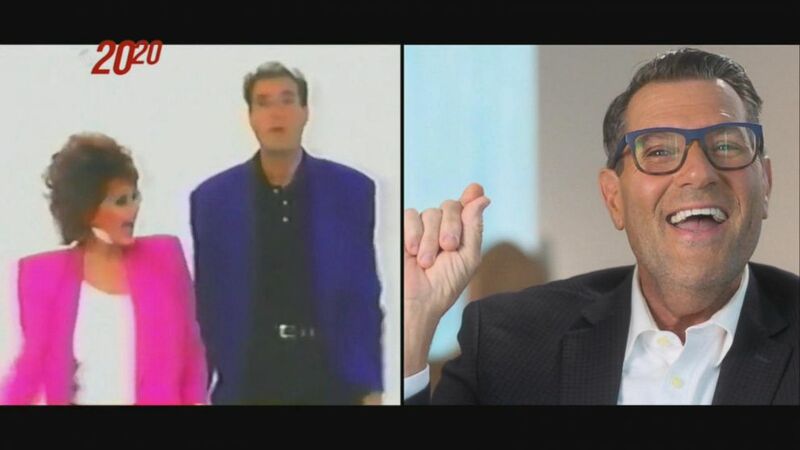 In an interview with "Good Morning America" in 1987, former host Charlie Gibson asked Jim and Tammy Faye if Jesus had not said it's "easier for a camel to pass through the eye of a needle than for a rich man to get to heaven?" In January 1987, at the height of their success, Tammy Faye suffered a breakdown, according to John Wigger, author of "PTL: The Rise and Fall of Jim and Tammy Faye Bakker's Evangelical Empire," and Don Hardister, PTL's former security chief. Two months later, after she had entered the Betty Ford Center, the couple disclosed to their viewers in a videotaped message that Tammy Faye was being treated for drug dependency. “I really felt I saw hell. I saw the other side,” she said of her condition in the Bakkers' videotaped message. But the Bakkers were rocked again when their hometown newspaper, The Charlotte Observer, published an expose revealing Jim Bakker had a sexual encounter more than 6 years earlier with Jessica Hahn, a young church secretary from Long Island, New York. Jim Bakker resigned from PTL and Jerry Falwell, another well-known televangelist and minister, stepped in to run PTL until the Hahn scandal blew over. However, at a press conference two months into his tenure heading up PTL, Falwell said the Bakkers were no longer fit to lead PTL, accusing Jim Bakker of homosexual activity, which Jim has since denied. Falwell also revealed a long list of demands that Tammy Faye Bakker made in order for them to permanently step aside from their ministry. As the Bakker family was dealing with the scandals, late night hosts and “Saturday Night Live” also took swings at them, particularly Tammy Faye, with impressions of over-the-top makeup and mascara running down her face. After a lengthy federal investigation into the ministry’s finances, Jim Bakker was indicted on charges of fraud and conspiracy. Three other PTL officials also faced a variety of charges. But not Tammy Faye. 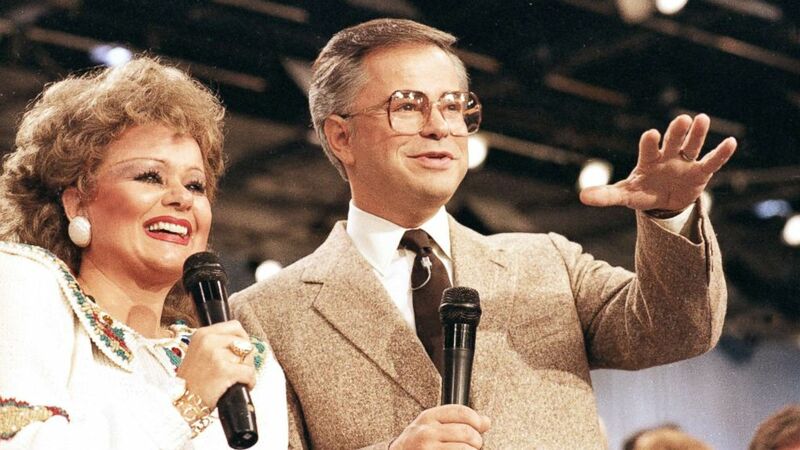 (Lou Krasky/AP) Tammy Faye Bakker and her then-husband, television evangelist Jim Bakker, talk to their TV audience at their PTL ministry near Fort Mill, S.C., in this Aug. 20, 1986 file photo. 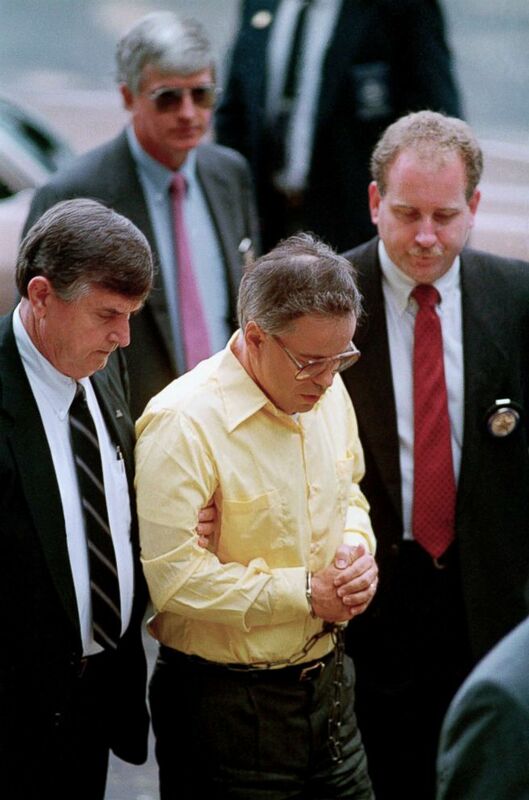 Jim Bakker’s criminal trial started in Charlotte, North Carolina, on Aug. 28, 1989. A jury found him guilty after a five week trial on all 24 counts, including mail fraud, wire fraud and conspiracy. Jim Bakker was sentenced to 45 years in prison and was ordered to pay a $500,000 fine. After his sentencing, Tammy Faye sang a hymn at the news conference. “I want to say I love my husband, my faith is still strong in the Lord, I still feel there’s nothing too hard for God. And I’m standing on Christ the solid rock,” she told reporters. “It was classic Tammy Faye… both empathetic, and, and kind of pathetic right?” Mark Becker, a reporter for WSOC-TV, said of the news conference. “You don't know how to respond, except… what?" In 1996, Tammy Faye spoke to ABC News about how she dealt with Jim Bakker’s time in prison. The couple had two children together: Jamie “Jay” and Tammy Sue. Noted attorney Alan Dershowitz filed a successful appeal on behalf of Jim Bakker to reduce his sentence. Bakker was paroled in 1994 after serving just under five years. But Tammy was not waiting for him. She had filed for divorce in 1992 and the next year married Roe Messner, the contractor who built Heritage USA. Meanwhile, comedy shows continued to take aim at Tammy Faye. “You know, just this, a clownish, you know, crying, you know, Jesus-praising, overly-make-upped person,” actor Jim J. Bullock said. “It was done on a shoestring,” Bullock said. “And Tammy just didn't understand why we couldn't have a fancier set. And she's going, 'I don't understand! It looks like Sanford and Son!'" "I can appreciate where it began for her and where her heart was, so I think it's important to tell," the Emmy and Tony Award winning actress and singer told "20/20." Bullock remembered when she was asked to remove her makeup for a photoshoot. “[Tammy Faye] said, ‘A clown never takes its makeup off.’ She knew that's how people remembered her,” Bullock recalled. 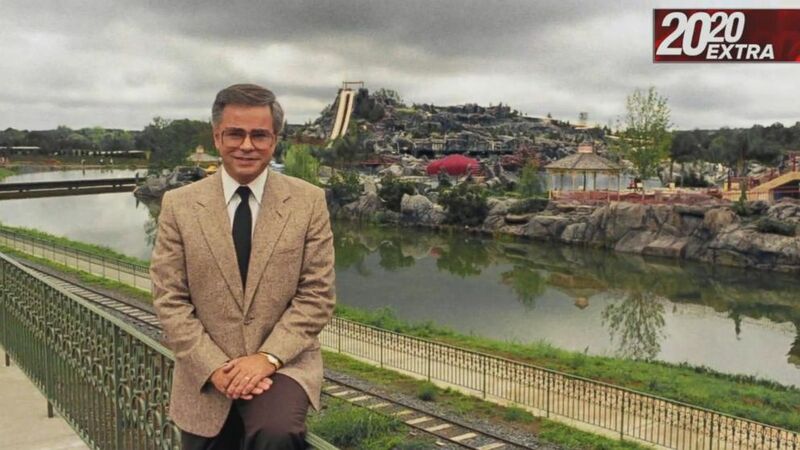 In Fenton Bailey and Randy Barbato’s 2000 Documentary “The Eyes of Tammy Faye,” she returned to Heritage USA, the popular theme park she and Jim opened in 1978 that featured a 500-room hotel and waterpark complex in Fort Mill, South Carolina. The park that had once earned millions annually was eventually shuttered after PTL filed for bankruptcy in 1987. “Everyone's attitude was changed in seeing that documentary -- and they understood her and not only understood her, but loved her,” Bullock said. Randy Barbato said her relationship with the gay community was especially inspiring. “Very early on during the AIDS epidemic there's footage of her embracing someone who’s identified as HIV positive. At a time, back then, when, you know, people were sort of suggesting people with HIV should be quarantined. That was pretty revolutionary," Barbato said. Tammy Faye visited a gay bar in New York City in 2003, thanking the gay community. “When I was going through my worst part of my life, I was hurting so bad… it was the gay community that found me and cared about me and I’ll always love you for that,” she said. Over the last eleven years of her life, Tammy Faye struggled with health issues. In 1996, Tammy Faye announced she had colon cancer and went through treatments including chemotherapy. Her cancer was in remission for years, when it returned, this time to her lungs. She told Larry King on his show in March 2004 that it was inoperable and she was once again starting chemotherapy. But after a brief remission, Tammy announced in July 2005 that the cancer had returned. She remained optimistic and faithful as she talked about her health battle. “She believed that when she took her last breath, that she would see the one who she loved and talked about and sang about and cried about, which gave her not only courage, but it gave her something to smile about,” said BeBe Winans, a gospel singer who made his name on PTL. On July 19, 2007, she gave her final interview on "Larry King Live." Hours after the broadcast, she died. “I thought, ‘You know, that is just like Tammy Faye to go on TV and to share her experience and her suffering when she's actively dying,’” said Suzanne Stevens, a former anchor for ABC News Charlotte affiliate WSOC-TV.